UB har under kommande läsår hyrt in en resurs för läkarstudenter som heter Osmosis. Det är en samling av flash-cards, inspelade föreläsningar och även ett studiehjälpmedel. Detta är gratis för dig som student. 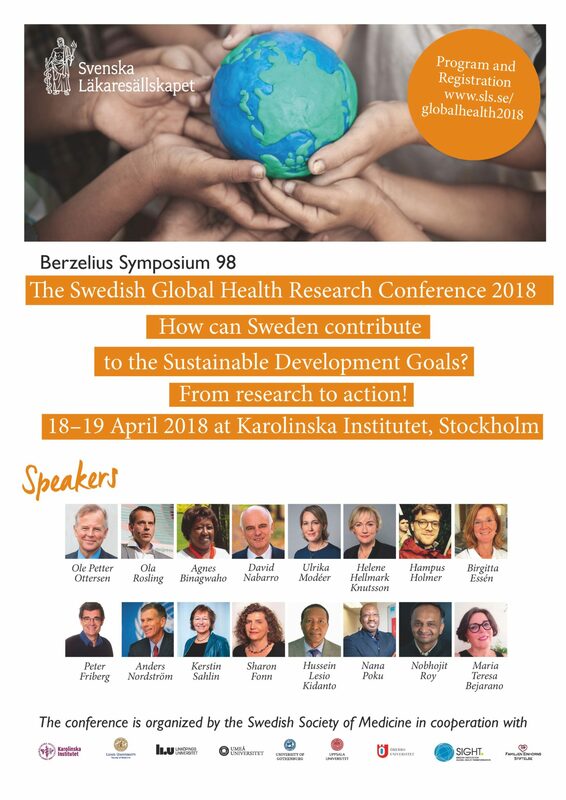 Take this chance and go to the Global Health Research Conference in Stockholm the 18-19th of April. The program is filled with interesting lectures and workshops, and the theme is “How can Sweden contribute to the Sustainable Development Goals? From Research to Action”. The medical faculty of the university and the Medical Union is sponsoring a bus to Stockholm for students who participate in the conference – it will be free for you. It will leave early in the morning on the 18th and go home again early on the 20th, so you can take part in the whole conference. If the bus would get full we will choose students based on motivation and to get a mix of students from different programs. We are also working on a buddy-system to help participants who need someplace to stay in Stockholm. However, if you have an alternative solution we recommend you solve it on your own. The student price is 350 SEK. Questions? Send an e-mail to president@ifmsa.se.